Mark Baire 3 and 2 over Howard Stark Jr.
Marcus Aiello vs. Zach Chaddock, 9:45 a.m., 1:45 p.m.
Jon Chaddock vs. Adam Bennett, 9:55 a.m.
Cameron Eddy vs. Mike Brady, 10:00 a.m.
Howard Stark, Jr. 1-up over John Henzel, Jr.
Mark Baire vs. Howard Stark, Jr., 10:10 a.m.
Doug Vergith vs. Scott Derwick, 9:15 a.m.
Kallen Barber vs. Matt Phillips, 10:15 a.m.
Vinny Baire, Sr. vs. Paul Foley, 10:20 a.m.
Tom Cummins vs. RJ Pauly, 10:25 a.m.
Below are results for the Qualifying Round of the 2018 SWNY-NWPA Men’s Amateur. – The top 32 qualifiers make the Championship Flight. 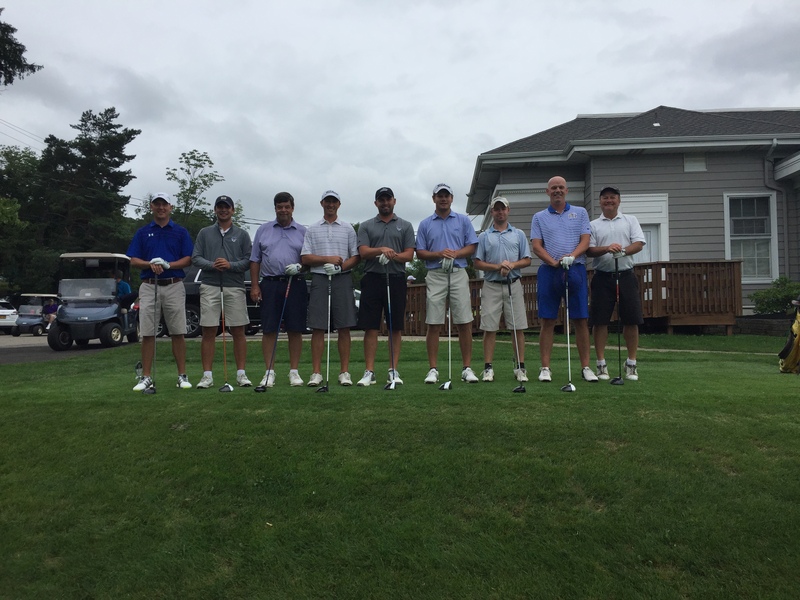 – All flights after the Championship Flight are comprised of 16 golfers. – Ties on the cut-line of the Championship Flight will result in a playoff. – Ties for all other flights will be broken by a match of cards. At the final stop of the 49th year of the Penn-York tour held at Bartlett Country Club Monday, golfers faced wet conditions and some rain throughout the day. Anthony Gullo (Moonbrook) won the Division I (ages 16 to 18) group with a 1 over 71, Anthony became the 5th different winner in the 16 to 18 year old division this season. The winner of the John Forrest(Most Outstanding Golfer Award- Lowest Average) was Connor Alfieri out of Smethport. Connor’s average was 77.25 edging out Sam Hyman (Holland Hills) who was awarded (The Kevin Forrest Award – Perseverance and Good Sportsmanship). Connor was also the 16 to 18 year old Divisional Point Leader. Elyse Godding (Pine Acres) won first place Division I girls (18 holes) with a round of 93 for her fifth title victory this year. Elyse was also the Divisional Points winner in the Girls 14 to 17 year old division. Kamdyn McClain (Bartlett) shot a 81 winning Division II (ages 14 to 15) for his fourth victory of the year, Kamdyn was also the Divisional Point leader for the 14 to 15 year olds. The Division III (ages 12 to 13) winner was Drew Brokaw (Olean) shooting a 46 for his first victory of the year but the Divisional Point Leader for the 12 to 13 years olds was Curtis Hannon out of Jamestown. Olivia Schott (Coudersport) won the 9 hole Division III girls division for her fourth time this year with a score of 72, Olivia also captured her divisional point crown. Emma Edwards(Olean) won the Division IV girls division for her fourth time this year with a score of 60 on modified tees, Emma also captured the 11 and under girls Division as the point leader. The winner of the Division IV boys 11 and under was Tyler Salvaggio (Bonas) with a score of 45 on modified tees for his second victory of the year, he also captured the points crown.